Are you tasked with managing a commercial space? Keeping your commercial property neat and clean is an integral part of maintaining your facility, improving productivity, and attracting and retaining customers. 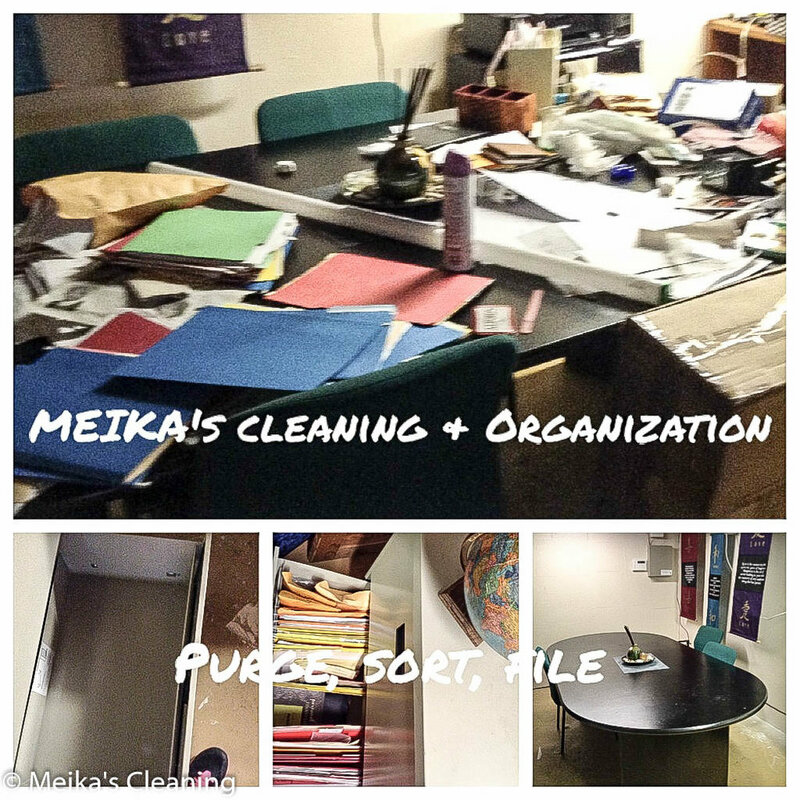 So if you need a thorough, reliable commercial cleaning service to come in and keep things tidy, turn to MEIKA's Cleaning. We offer a variety of packages designed to suit your needs and keep your facility looking its best. At MEIKA's we work hard to keep our customers happy. No matter the size of your commercial property, we have the manpower, equipment, and skills to clean it thoroughly. From windows to floors to everything in between, our team can do it all. And because we value your business, we go out of our way to keep our rates reasonable and affordable. For more information about our commercial cleaning services or to schedule a consultation for your business, contact MEIKA's today. Most clients have a regular home cleaning schedule either weekly or bi-weekly. You can enjoy the consistency of a well maintained home. We tailor our cleaning tasks during each visit so that your home gets fully cleaned during the appointment. Scheduled visit prevents any area from getting too dirty and maintains a totally clean and healthy environment. Pressure cleaning is one of the least expensive ways to improve the exterior curb appeal of your home or business. Our pressure washing services will provide a fresh new look that is fast, affordable, and effective. We can bring new life to your driveways, sidewalks, patios, pool decks, fencing, gutters and trim. We also have several eco-friendly pressure washing solutions available to combat mold and mildew that may have built up over the years. This service is typical of a deep "spring cleaning" and focuses on getting your home back up to the condition needed for regular maintenance. This includes a thorough cleaning of your home from top to bottom. Many clients use this type of deep cleaning to prepare their home for sale or to stage an open house if listed with a realtor. Our carpet cleaning products contain no harsh chemicals, are non-toxic, environmentally friendly, hypoallergenic, and pet safe. The carpet cleaning equipment sprays and extracts a hot cleaning fluid that effectively removes the dirt that a plain vacuum can leave behind. Although regular vacuuming can remove dry soil and dust from your carpeting, it can leave behind oily particles that are produced from cooking vapors, pets, and dirt tracked in from outside the home. When you are moving into a new home, it is very important to start with a fresh, clean environment. While your new home may appear clean, it is possible that hidden dust and germs still linger from the previous tenants. We send a team of specialists to deep clean and disinfect your home before you move in. Want to start your new year of with a CLEAN slate? Let's chat. We can make you shine! 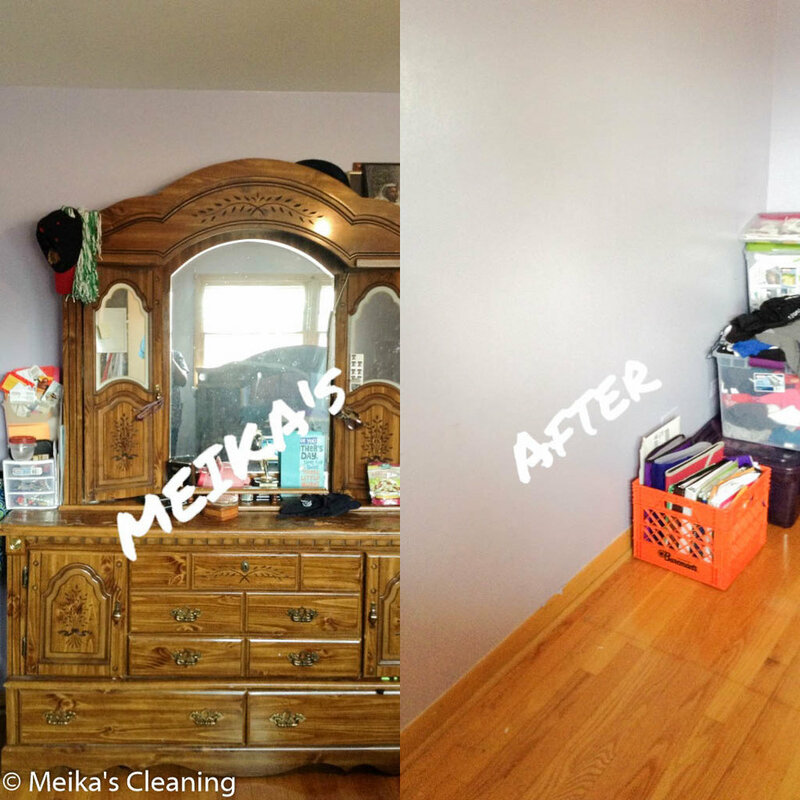 Meika Cleaning Inc. is a boutique cleaning business that provides both commercial and residential cleaning services in the Chicago area. Leave your dust to us and we will make you shine!